Running a background check by SSN is typically considered one of the most comprehensive ways to get detailed information about someone – and for good reason. For a US citizen, a social security number is the most important identifying number – and the number most likely to be used to record legal and financial transactions. See this article on the purpose of having a Social Security Number and our article on how to validate an SSN. 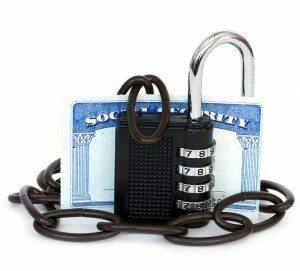 Everything from property records and marriage/divorce records to criminal records are entered into public record and linked to a person’s SSN. Consequently, the subject of how to run a background check by SSN comes up frequently at USA Trace and is a key component of background checks. Indeed, USA Trace does offer an SSN Search option – you can try it out at the bottom of the page. However, though many people assume that using a social security number search is going to yield better results than other types of background checks, this may not actually be the case. Public records are just that – records that are available for public viewing. “Public” does not mean free, however, as many local courthouses and county offices charge for copies – or even per SSN search. Public also doesn’t mean easy to find – many county records are not searchable online, even with social security numbers. And there is no one-stop government database for all public records across ever state – you have to know exactly where to search to get the information you need. Fortunately, there are people search companies that have literally gone to every courthouse in every county and paid access fees to collect and index all the available public records on virtually everyone over 18 years old in the US. All these records are cross-referenced to match them together so that you can get a near-instant background check by SSN spanning all the information available from throughout the US. So, if someone currently living in Los Angeles was married in Atlanta and committed a crime in Miami, an instant background check will tell you – often for less than what you’d pay for one record at one courthouse. Here’s the thing though – you don’t need a full social security number to get this comprehensive background check. In fact, all you really need is a name and last known state and the people finder company does the rest. You even get free preview results to ensure you’ve found the right person. Check out the background check tab on our search box below to try a search without a social security number. While background checks by SSN do exist, most companies that perform them require an official, authorized purpose for the search. In fact, the people that most often run a background check by SSN are lawyers and private investigators – both of whom are required to follow specific legal protocols. By law, many background checks that would involve an SSN – by landlords, by employers, etc. – actually require permission from the person being searched. In contrast, the instant people search background checks are completely anonymous and discrete – the person being searched is not informed. In addition, provided you are using the background check for strictly informational purposes, you are perfectly within your rights to access them – they are public records, after all. So, even though background checks by SSN might present a challenge for a number of reasons, you can still get all the same information quickly and cheaply without it. Check it out for yourself! 3. Where can I run a free SSN Search? This entry was posted in SSN Search and tagged Background Check by SSN, How to Run a Background Check. Bookmark the permalink.